After reading the interview with Tokyopop publisher Mike Kiley, I feel that I have to respond. It does not bother me that Tokyopop is making the manga listed in the interview Web-only exclusives. These are all titles that were poor sellers at best. We liquidated all of those titles long ago. What does bother me is that Tokyopop is expending money and effort to promote these titles which it should just forget about. Instead they should get back to publishing and supplying higher quality manga to the traditional retail market. It doesn't make sense to pursue promoting poorer-selling titles online when there are so many hot Tokyopop titles that have been out of print for so long. I cannot get copies of Kingdom Hearts #1-3, Loveless #1, or Battle Club #1, just to name a few. These are all strong selling books that have been out of stock for months. It also appears that it is becoming harder to re-order most new promising Tokyopop titles as well. As soon as a new title gets hot, we cannot get any restocks. What gives? In the past, that was never a problem. I am not buying the new printer story, either. Kingdom Hearts #1 came out in September 2005, and has never been available for re-order, even though it was a Bookscan bestseller. My read on all of this is that Tokyopop is in trouble. When they cannot keep hot titles in stock, there is obviously a problem. I hope that this is not the case. Tokyopop has always treated the direct market well, and they are responsible for creating the American manga market. But this Web exclusive project just strikes me as an act of sheer desperation. Am I wrong? One last thing: the old Tokyopop Website was a perfect example of how a Website should be done. The new Website is just plain confusing. I do not even go there anymore. What happened? 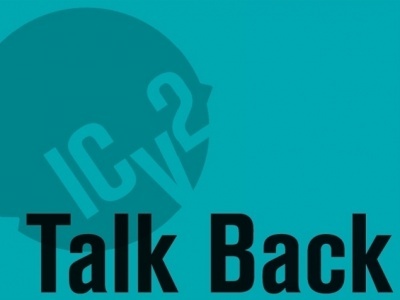 The opinions expressed in this Talk Back article are solely those of the writer, and do not necessarily reflect the views of the editorial staff of ICv2.com.